Let's Face It, He's the Only Reason You Check Here. It's OK, You Can Admit It. To honor Austin's 6-month mark (and because the paper had vouchers for free tickets) we took Austin to his first baseball game Aug. 20: the Orem Owlz took on the Billings Mustangs at Brent Brown Ballpark in Orem. The game had everything you would want in a child's first ballgame: extra innings, a walk-off home run, Frank Layden singing "Take Me Out to the Ballgame" during the 7th Inning Stretch, EVERYTHING. Luckily, I took my scorebook to immortalize the game. Oh, and I guess we took some photos, too. Two posts in one day?!? I know--I'm as shocked as you are. I really needed to say my piece here, though. I am probably more interested in late-night television than most people I know, what with my Letterman experiences and all. As such, I have taken a particular interest in NBC's current late-night quagmire. This goes beyond liking or disliking Conan or Jay's material, and even beyond ratings. 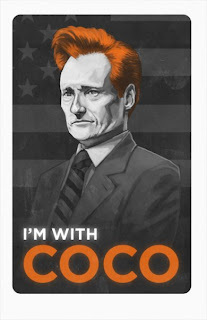 I personally have been a fan of Conan's for years and watch him every night, but that's not the reason I'm on his side. This is a matter of honor. NBC has sullied its honor as a network by going back on their pre-arranged agreement with Conan, and that's that. What changed between the time the deal was struck six years ago and now, other than Jay's curmudgeoney-ness and a dip in ratings that is probably more Jay's fault than Conan's? Most blogonauts would probably try to suggest a boycott of NBC or something, but I just couldn't cut it. Holly and I watch several NBC shows which we love: The Office, Community, Mercy (the best show you're not watching, by the way), and The Biggest Loser, among others. All I want from you is to read Conan's statement and put yourself in his shoes. Feel free to leave your responses below. As Austin Travis' due date rapidly approaches, I feel like I owe it to you, our faithful readers, to update our little boy's development, as well as our preparations for him. Our last appointment with Holly's OB was last Wednesday. The ultrasound looked very good: four-chamber heart, healthy spine, breathing, and other very promising developments. He's still a bit bigger than his original due date (March 4) would indicate. The doctor's estimation is around February 24, but it's still very up in the air. 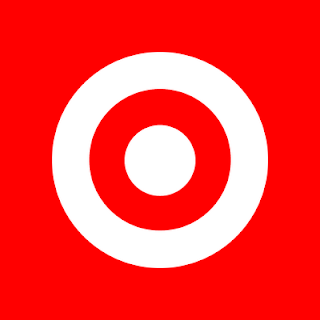 Now is the time when I become a bit of a corporate shill, but the corporation in this case is my budding family, so I hope you will be as down with it as I am. More updates as they become available. Thanks to all for their love and support of our little guy. Last Night's "Office": A Microcosm of this Season? I know it's been a while since I updated on here; stuff has been incredibly packed. I found some time this afternoon, and last night's episode of "The Office" prompted me to put some interesting thoughts together. "Murder", which aired last night was, for me, the season's second-best episode behind Jim and Pam's Wedding. Lots of laugh-out-loud moments and delightful awkwardness that has been missing for most of the last two seasons, what with the relationship drama and the like. "They need this game, Jim. Let us have this stupid little game, alright?" Jim applies this lesson by choosing to continue with the game after hearing even more depressing news from David Wallace. Isn't this a grander metaphor for the show as a whole? In the midst of all the drama with the Jim/Michael dynamic, romantic relationships and the economy on "The Office" for the last two seasons, these kinds of episodes are fewer and further between. This episode was a breath of fresh air, but can't it happen more often? In other words, can't we have these stupid, random episodes? As you faithful readers know, I have become a writer for BYU's newspaper, The Daily Universe, and that I have been placed on the BYU football beat. This meant that Monday at about 6:30 PM, I was standing outside the Indoor Practice Facility waiting to watch the last minutes of practice and then get interviews. Not gonna lie, I was a bit star-struck at first. It's a huge building, the players are fully into practice and I'm standing there with a handful of other reporters waiting to talk to whoever I want. Eventually, I found myself with a tape recorder in Andrew Rich's face (we talked one-on-one; I was the first reporter to get to him after being named MWC Defensive Player of the Week), Bronco Mendenhall's face (with everyone else there), and then Max Hall's face (ditto). All that "work" resulted in this article, which appeared on the front page of Tuesday's DU. Check back tomorrow for my preview of the Tulane game. **UPDATE** Here's my game preview for BYU/Tulane this Saturday. Music for this blog post is provided by a group of BYU fans in Dallas over the weekend. Obviously, all the buzz in our neck of the woods is BYU's phenomenal win over Oklahoma last night. I wrote an article on the game which is now on the website for The Daily Universe. Even after the game, you could tell that BYU coach Bronco Mendenhall had his priorities in order, and expressed hope that those back in Provo would, also. At the end of his postgame radio show on KSL Radio, play-by-play man Greg Wrubell mentioned that the Cougars would probably make it back to Provo at about 2 AM or so. Mendenhall chuckled and said that he hoped there wouldn't be too many people out there so that they could get plenty of sleep and get to church in the morning. Even though it's a half-joke, I found it fascinating that Bronco was still himself, even though this big event had just taken place. It didn't change him, make him power-hungry or prideful. He has his feet firmly on the ground. That is why Bronco is here to stay. As most of you faithful readers know, I have started the BYU school year. This is my first semester in the Print Journalism program, meaning that I will soon be writing regular stories in BYU's campus newspaper, The Daily Universe. By soon, I mean right now. My first article just went online in the last couple of hours and I believe it will be in Wednesday's paper. I've been told I am one of only two new reporters this semester to get into the paper this quickly. I'm downright giddy. Feel free to check it out. Turns out that the article made the bottom of the front page. Not bad for my first week, if I say so myself. The front page views might increase as the semester goes on, because I have been given the BYU football beat. It's a pretty heavy assignment, but I am up to the task. In my head . . .